Our Job Is Professional, Our Service Is Personal! Based in South Florida, Garage Door Pros has been an industry leader in Garage Door Repair since 2012, gaining more and more recognition each year for our unparalleled Garage Door Services. At Garage Door Pros, we pride ourselves in providing timely, effective, and inexpensive garage door repair, installation and maintenance for garage door services in South Florida so that you can get on with the business of living your life to the fullest. "El precio muy desente defenetivamente 5 estrellas." Hollywood, FL Compre una puerta y la recibí en el tiempo la instalaron muy bien y el servicio estaba de maravilla el precio muy desente defenetivamente 5 estrellas. "These guys are the best." Fort Lauderdale, FL These guys are the best, in and out in 4 hours and clean the garage after the work was done - nice. The price was very good - i got 3 quotes from them plus Broten and Allied doors - and these guys got me a much better deal. Overall a best value for money if your looking for a garage door. Garage door cable split? Or is it already gone? Get your garage door back open today with Garage Door Pros! Have an old garage door and or system? Let us show you some new options and checkout our electric openers. Got a broken spring? Garage door won't lift? Garage Door Pros will help get going again. Garage door not working the same as when you bought your home? Garage Pros can come out and fix up your problems! 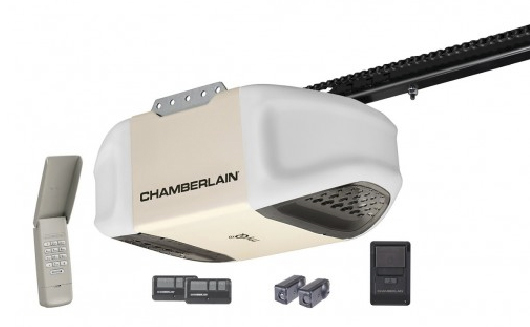 In the market for a new garage door opener system? Try electric garage door motors!! Garage Door Pros carries Lift Master motors; the best! Garage door squeaky? Obnoxious sounds from the opener? Have us come out for a Free Inspection! If your Garage door came off the track, let Garage Pros come out and tune up your system and door! Does your garage door not go up because of bent or stuck rollers? Have us come take a look today! Does your garage sensor fail to detect children or sudden objects? Please have us come out today and repair this problem today. Need to replace some older key fobs? Or how about new remotes? We got you covered, explore what we can upgrade you to.